Add some fun and relaxation to your ladies night in with a Spa Party. Delectable sugar scrubs, soothing milk foot baths, nourishing hand & nail soaks, lush hydrating oils, luxurious body butters and more make for an evening of pampering perfection. What a wonderful way to spend an evening with friends! Gemstone therapy is also available for the evening of your party if you so desire, at no additional cost. Hostesses receive their pampering products for FREE, and also get a FREE gift for hosting a party. The cost for guests to attend is only $15 per person for a wonderful night of pampering including products to use during the party and some to take home. You and your guests may order additional products from Teigan Draig Collection. Some products may be available the evening of your spar party for cash and carry. Other products are available for purchase and will be made to order and shipped to you or your guests. There will be an additional charge for shipping. See below for a breakdown of hostess benefits. *Note: Those wishing to pay with a credit card at a home show will be given my PayPal.me link to make their payment. 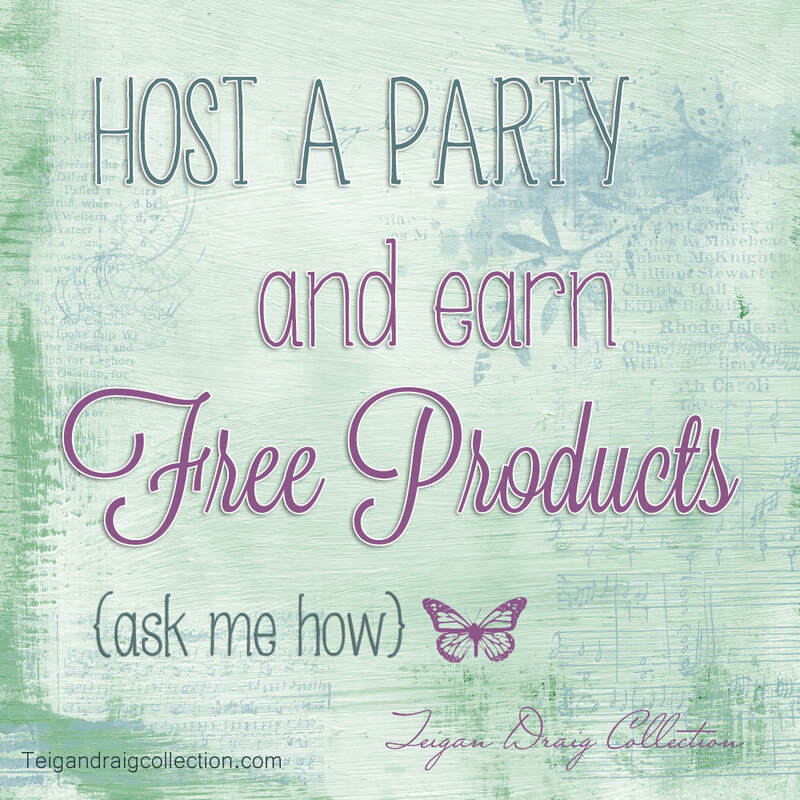 Teigan Draig Collection offers great hostess benefits and every hostess receives a FREE gift just for hosting a party. See the hostess benefits graphic for a complete break down of hostess benefits. Hostess can also earn an additional half price item if 3 or more future spa parties are scheduled by guests during her home show. Hostesses and guests may shop any items from Teigandraigcollection.com. Hostesses are encouraged to obtain outside orders to count towards your party sales. For more information, or to book a party, please contact me. Party sales must reach a minimum of $150 to qualify for hostess benefits. Hostesses of non-qualifying parties will still receive a free hostess gift. Sales from parties hosted do not include shipping. Discounted and free product earned from hosting a party cannot be combined with any other offers or discounts. Free hostess gift carries a value of up to $10.